Imagine an Internet without email. Hard, isn’t it? Email is so engrained into modern culture, yet there are some statistics that are so crazy that they might just blow you away. 1. Approximately 205 billion emails are sent every day. That amounts to 2.4 million emails sent every single second. And even if you discount the 90% of them that contain spam or viruses, that’s still an unbelievable number. 2. 91% of all email users check their inbox at least once a day. Could you go a day without using the Internet at all Take A Break From the Internet - You’ll Thank Yourself Later [Opinion] Take A Break From the Internet - You’ll Thank Yourself Later [Opinion] Oh, the Internet. One of the most world-changing inventions of the past century, perhaps even in all of human history. Never before has everything been so available in so little effort for so low a... Read More ? Probably not, and email likely plays a big role in that. I'm definitely addicted to the internet. I'm sure internet addiction will be treated more severely in the future, but for now.. weeeeee! 3. At least 72% of U.S. adults manage personal emails by smartphone. It’s statistics like this one, combined with the one above, that help shed light on the fact that too many of us are victims of smartphone addiction Are You Addicted To Your Smartphone? Are You Addicted To Your Smartphone? At one time, landlines and payphones were all we had--and we survived just fine, thank you very much. But now, it’s almost laughable if you don’t own an iPhone or Android, and for some of... Read More . 4. Gmail has close to 1 billion active users. The world is home to a little over 7 billion people, and a vast percentage of those people have no access to email. The fact that Gmail maintains this many active users is nothing short of astonishing. Facebook, Viber, Gmail seem to be most popular services. If you ask about Google, they say: "You mean Gmail?" 5. Skilled email marketing returns around $44 for every $1 spent. This is a mind-blowing statistic as this kind of return-on-investment is impossible to find anywhere else. 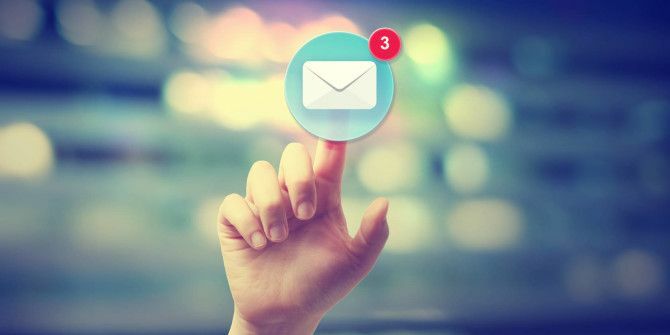 Ever wondered why you keep getting spam, spam, and more spam How Do Spammers Find Your Email Address? How Do Spammers Find Your Email Address? Spam is the closest thing we’ll ever find to an Internet plague. No matter who you are, spam will one day find you and you’ll have no choice but to put up with its pestilence.... Read More ? That’s why. Did these stats surprise you? Know any other email stats that’ll blow us away? Share them in the comments below! One solution to eliminating SPAM is to no longer allow email messages to be sent for FREE. For instance, only charging 1/10,000 of a penny for a user to send an email over the Internet would virtually get rid of all SPAM, saving millions of hours for recipients, saving massive computing resources and Spam filters, etc. I am not sure how to implement such a charging scheme. Requiring a person to put $1 in some global escrow account would permit them to send emails to 1 million addresses - probably more than any normal person would need in a lifetime. For legitimate businesses, such a cost would be miniscule. For some Spammer in Nigeria, it would be prohibitive. Perhaps my numbers should be skewed an order of magnitude one way or another, but you get the point. That pretty much confirms what I always thought: that time is money, all the more so for time spent reading/writing emails. The fact that for each dollar invested into email there's a return of 44 tells me that somewhere along the lines a lot of people spent waaay to much time reading junk and I wonder if email shouldn't be phased out in favor of less time-comsuming services (twitter?). How much of what we write in a email is truly necessary? And how much could anyone save with a better email policy? Personally at least 1/3 of my work hours are spent juggling emails and that's after I decided to straight out not read stuff that isn't directed to me as the main recipient. "The fact that for each dollar invested into email there’s a return of 44 tells me that somewhere along the lines a lot of people spent waaay to much time reading junk and I wonder if email shouldn’t be phased out in favor of less time-comsuming services "
I think you may have misunderstood the statistic. "Skilled email marketing returns around $44 for every $1 spent." It does not mean that ALL emails generate that kind of return. Only properly done marketing emails generate a 44-fold return. The problem is not email itself, it is those that use it. Email messages, just like tweets, should succinct and to the point, not used to write "War and Peace" length epics.